Home / advertising / business / news / video / viral / WATCH: McDonald's Chicken McDo ad or Jollibee Chicken Joy commercial? Netizens got confused over a McDonald's Chicken McDo advertisement that looks like a Jollibee Chicken Joy commercial. Check out the video. The 30-seconder titled "Anong manok ni Joy?" was posted by McDonald's Philippines on social media sites Facebook and YouTube on Sunday, April 10. It features six beautiful women who gave their testimonials about how juicy and crispy Chicken McDo is. The catch? The first names of the gorgeous ladies are all "Joy." 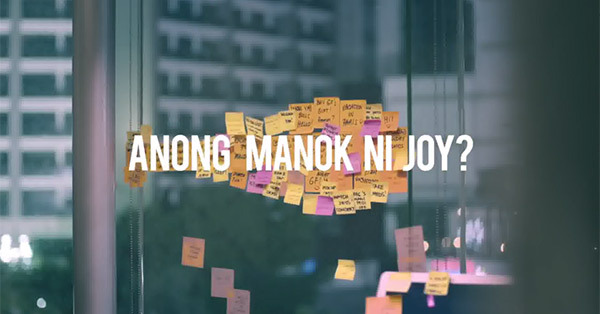 When someone mentions "Chicken Joy," people would automatically think it's the best-selling product which Jollibee advertises as "the perfectly seasoned fried chicken that's crispy on the outside; tender and juicy on the inside." The McDonald's Chicken McDo ad is getting a lot of attention and loads of comments. Do you think the concept of the commercial was effective?